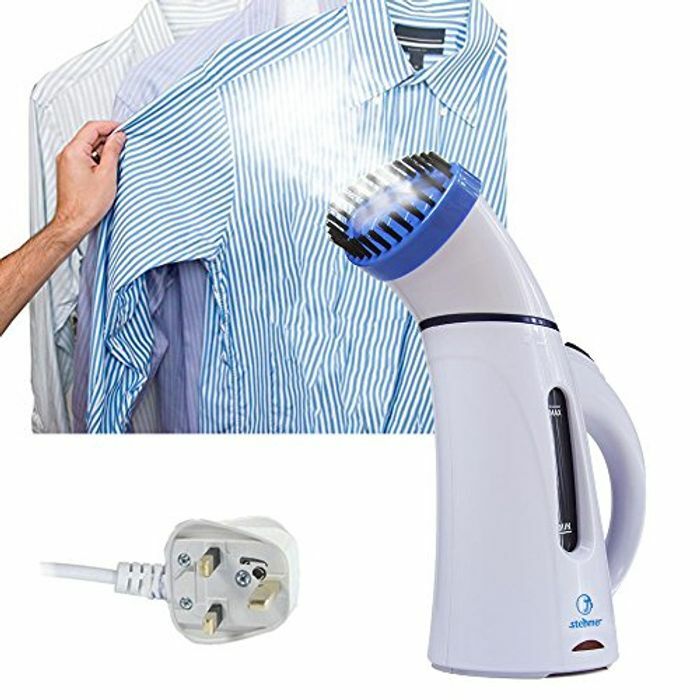 This is Compact and lightweight Fashion Deaign,Good Travel garment Steamer with Travel Pouch it makes ideal for travel or home use; Especially it is good for business trip and business meeting and Romantic date! It is easy to remove wrinkles and odors from clothes, linens, curtains Carpet,Sofa, and other textile and fabric's upholstery. This steamer is powerful to 800 watts with 150ML capacity .It can provide over 16 minutes Steam vapor contantly! The power source is 220-240v U.K Standard voltage. This steamer has passed the CE and CB quality criteria authentication. All of the product is with 12 months warranty, during which period we can replace new one for our customers because of the quality issues. TSimple to Use: Fill with water in the portable steamer, plug in and switch on.There is 2 button,the "I" will take 20s to heating the water,then can work for 8-12min;the "II"will take 40s to heating,then can work for 18min.Fast-heating make more convenience in your life. This item is a necessity for travel or where space is a premium. It has a built-in safety cut-off will turn off the unit if the temperature gets too hot or if the water level gets too low, 6 foot length long power cord eliminates the need for an extension cord. It is good for Silk and curtains, it won't cause any damage on the textiles!